Performance issues on the PS4 Pro aside, this is arguably the best looking game of all time. Sony Santa Monica has done it again. They have delivered a game that is not only a treat to play through but is also a technical marvel. 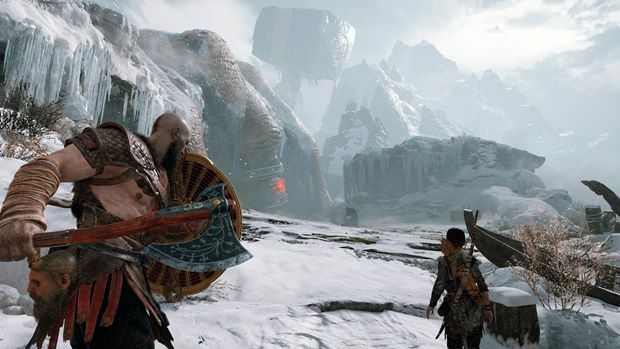 God of War on the PlayStation 4 quite easily surpasses the likes of Uncharted 4: A Thief’s End and Horizon Zero: Dawn, two of the most beautiful looking games and takes the crown for the best-looking game of this generation. And yes, we know that’s a huge claim given there are new titles releasing every month, but among all the titles we have analyzed for the last many years, this game stands tall among all. Much like previous AAA PS4 exclusives in recent years, God of War excels in delivering an extremely high-quality assets package. Kratos looks eerily close to real life, his armor is extremely well detailed and his muscular body is clearly showing signs of aging. The animation technology implemented here is simply phenomenal. When Kratos talks or moves, the related skeletal system reacts accordingly resulting into the most complex yet realistic animation system we have ever seen. Heck, even Kratos’ teeth are superbly detailed! That’s attention to detail for you, I suppose! The game takes place in Norse setting, so from an artistic standpoint, a lot of things have been changed. Most of the environments you travel in the game is filled with life, flora and fauna. But what makes the world stand out is its amazing lighting system. It’s quite evident that the developers are using the game’s lighting system to accordingly create an atmosphere which is either lively, dark or dangerous to the player. Implementing a full physical based rendering pipeline, the physical based lighting dynamically reacts according to the type of objects it’s interacting with. Earlier games in the series had a kind of one dimensional look and feel to them which worked really well back then but with the latest iteration every environment the player comes across is different and has its own set of challenges. So, whether it’s the phenomenal dynamic snow effects or wet environments, all of them look amazing thanks to some really aggressive anisotropic filtering, object displacement and parallax occlusion. We also wanted to take a moment and talk about the water effects in the game. Look, most of the exploration you do in the game is through sprinting around but there is also a boat that you can hop around to reach different areas. And the water effects during these moments is simply special. Now this is no Sea of Thieves and the game doesn’t intend to deliver that level of immersion but what is here simply looks amazing thanks to the lighting model. I also wanted to briefly talk about the conversation tech while you are travelling in a boat. 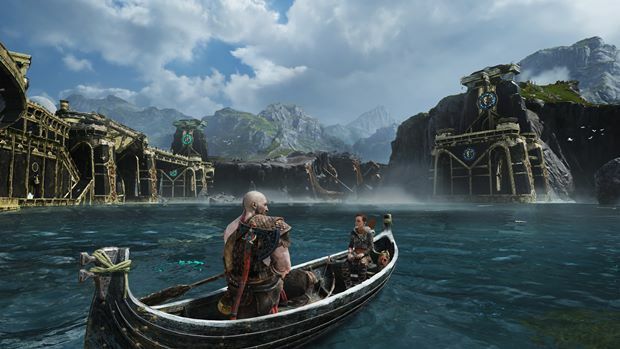 Kratos and his son will at times engage in conversations but if the player docks the boat before the conversation fully ends, the character who is speaking will end the conversation in a natural way. And when you are back on the boat, the characters will resume the conversation, again in a way that seems authentic. This is a very minor feature but adds to the overall immersion factor. Next up is the enemy and bosses. Unfortunately, we can’t go in-depth here but what we can say is that this game has perhaps one of the most colorful cast of enemies and bosses you will ever face. The boss’ assets use high resolution textures along with full skin shader support. 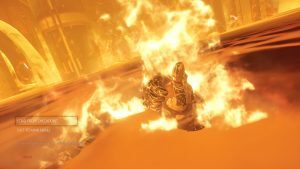 The game uses a ton of particle effects to deliver some of the most authentic fire, ice and electric effects you will ever see in a video game. And when you have ton of enemies all attacking you at once, the visual effects on offer can be sight to behold at times. The game’s framework also uses a rather interesting destruction engine which can be seen in one of the earlier boss fights. Now, it’s not completely dynamic like Frostbite but what is here definitely seems intriguing. There are also complex physics processes at work, specially related to the Leviathan axe that Kratos carries. The axe is not only used for taking down your foes but also used for solving chest puzzles in rather unique ways. And by the way throwing the axe far away and then calling it back only to see it follow the more or less accurate trajectory back to you doesn’t get old. As expected, the game comes packed with PS4 Pro support. However, unlike some of the major PS4 releases in the past, this game come with not only a resolution mode but also a performance mode. But before we jump into analyzing the PS4 Pro version, we want to make it clear that the in our analysis the base PS4 version ran smoothly at 30fps and at 1080p. There were drops here and there but for the most part performance was fine. The PS4 Pro on the other hand seems like a different story. On a 4K TV, the game runs at a dynamic checkerboard 2160p resolution. Performance for the most part seems fine but at times there were drastic frame rate drops which made the game completely unplayable for 1-2 seconds before the engine corrected it back. On performance mode, it seems like the game is targeting higher frame rates up to 60fps. The game doesn’t really run at a consistent 60fps, in fact performance was so bad in some cases that we had to switch back to Resolution mode for smoother gameplay. So overall and this may be surprising for some players, we preferred the base version as far as performance goes. Of course, we fully expect the developers to patch out the PS4 Pro version and it’s ideally the best version due to the extra bells and whistles it offers but for now, our preferred platform is the base PS4 version. So, in conclusion, God of War on the PS4 is an incredible effort by the development team at Sony Santa Monica. 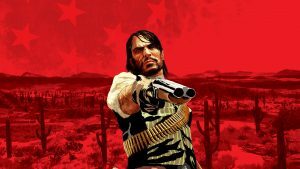 Not only it has delivered one of the best games of this generation, it has managed to surpass our expectations from a technical perspective as well. Back in 2016 we had claimed during our Uncharted 4 analysis that next-gen doesn’t start until Naughty Dog says so. Well, today we say this: Next-gen doesn’t start until Sony Santa Monica says so. The ball is now in your court, Naughty Dog!